The word “Insidious” is loosely defined as something that proceeds in a gradual and subtle fashion but ends up causing harm in the end. 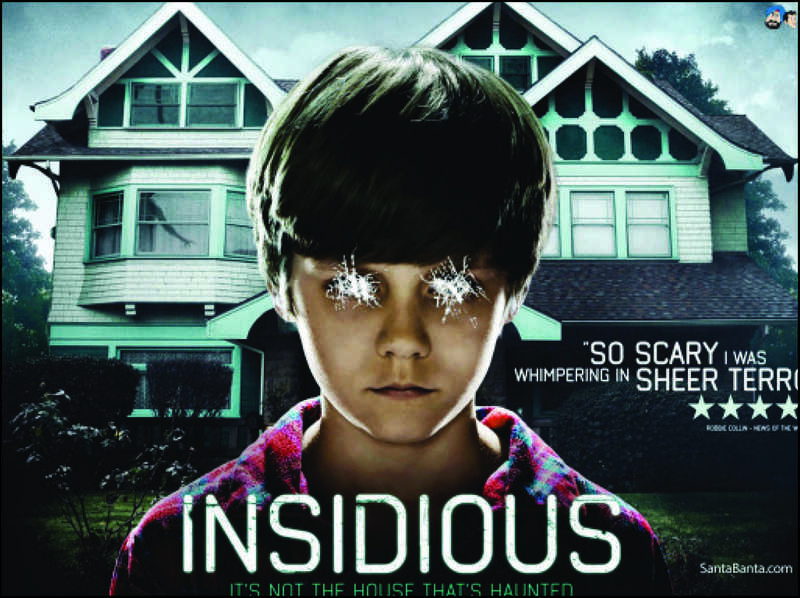 While director James Wan’s latest film, “Insidious: Chapter 2,” will not be causing anyone physical harm, the film took its title a little too seriously, giving audiences a slow-moving horror movie that does not deliver thrills. Wan, who gave us suspense in “Saw,” “Dead Silence,” and recently, “The Conjuring,” picks this sequel right up where 2010’s “Insidious” left off. Joshua (Patrick Wilson) and Renai (Rose Byrne) Lambert, along with their children, are struggling to cope after the supernatural events of the first film. As the family moves into a new house and their lives seem to return to normal, strange occurrences take place, this time effecting Joshua in ways none of them had prepared for. Their son, Dalton, who had spent the first film as a vessel for spirits to escape from an astral dimension known as “The Further,” may be the only one who can help as his father is taken over by an evil entity. A promising prologue featuring a young Joshua meeting with an exorcist is one out of few moments in the film that contains any sense of suspense. Routine jump-scares fill the movie to the brim, which by the halfway point is too mundane too enjoy. Other potentially terrifying moments are thrown off by laughably bad acting, cheesy special effects, and messy cinematography. Wilson and Byrne both give strong performances, but sadly their acting is stronger than any of the material they are given, and supporting characters are underdeveloped and underused. Unlike the first film, nothing here feels fresh or exciting. After coming off a near-masterpiece like “The Conjuring,” this film is tired and too monotonous for horror fans, nor does it offer enough tension to recommend to casual moviegoers. Wan’s reliable track record and talent for creating an eerie, supernatural atmosphere is completely absent here. Halloween is on its way, and audiences will be looking to the movies to get their fill of heart-pounding entertainment. Unfortunately, “Insidious: Chapter 2” will not get your heart-pounding at all.